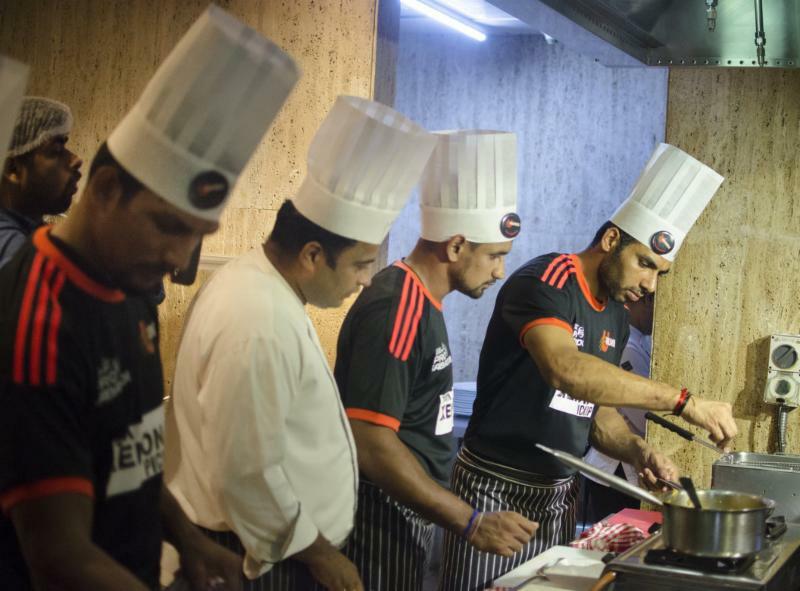 Putting their cooking hats on, some of the U Mumba players teamed up to cook off with the assistance of two brilliant chefs at the Courtyard Marriott . 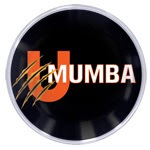 On a day where the winner would be decided based on taste and appearance of the food, captain Anup Kumar and local boy Rishank Devadiga each were partnered up with the new boys of U Mumba, Manoj Dhull and Sunil Kumar respectively. Armed with a set menu and the guidance of the chefs, the Mum Boys whipped up four superb dishes in just an hour, encouraged by the cheers of their fellow teammates. 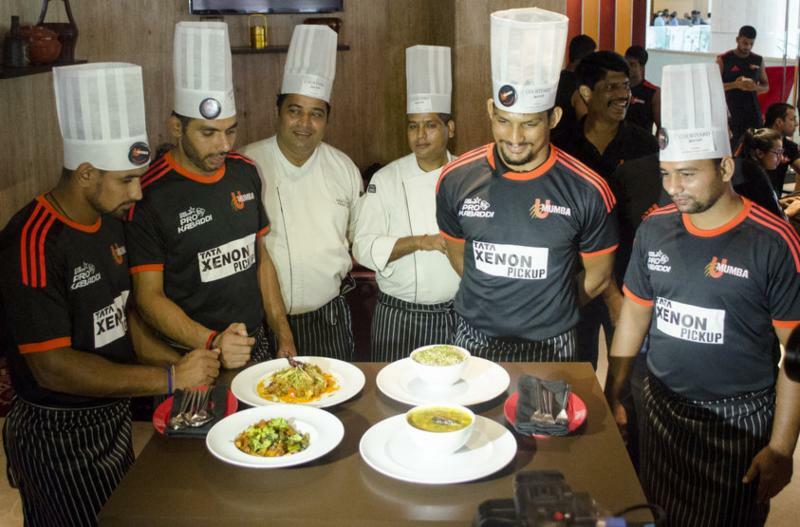 As coaches Bhaskaran and Ravi Shetty looked on in amusement, plating was complete and it was time for the judgement. Rishank and Sunil had prepared Dal Fry and Bhindi Aloo while Anup and Manoj had prepared Gobi and Jeera Rice. 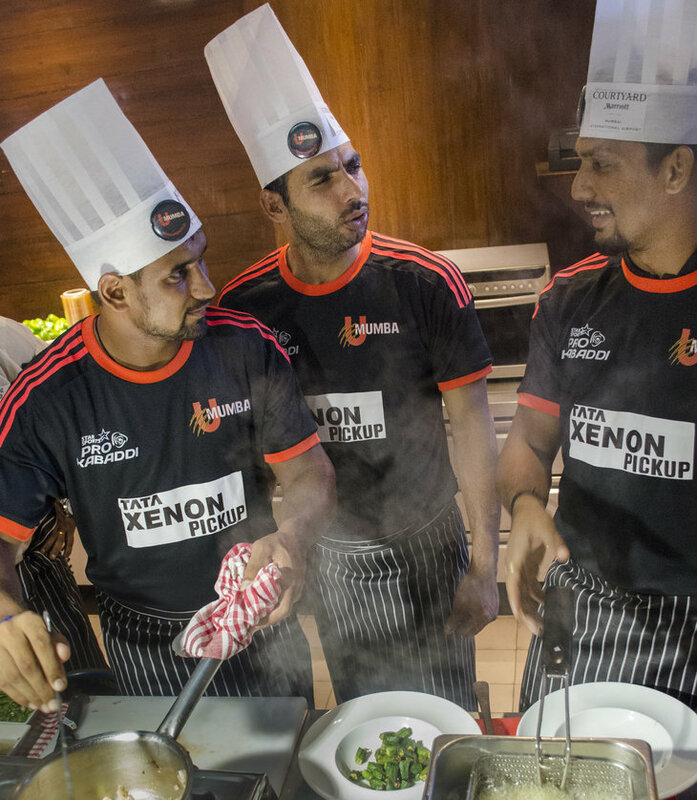 After a careful round of testing by both coaches and the two chefs, Rishank and Sunil were adjudged the winners of the Cook-Off. Faber-Castell Design exclusively at William Penn now!! William Penn, the purveyor of premium writing instruments, started its operations in the year 2002, as a stationery and writing accessories store in Koramangala, Bangalore. In 2004, the first exclusive writing instrument store was established at Forum Mall, Bangalore. William Penn today has 30 exclusive outlets across 11 major cities and more than 20 globally renowned brands on offer. From retailing at the best locations to offering a curated range of lifestyle accessories sourced from across the globe, William Penn takes that extra effort to give customers a world-class shopping experience. And hence, this time it brings the new series of pens by Faber-Castell, a pioneer in manufacturing writing instruments.